Saturday 27 January saw the Annual General Meeting of Norfolk Ramblers, this year hosted by King’s Lynn Group at Leziate. As usual, the day started with a walk, on this occasion a figure of 8 route through what used to be Bawsey Country Park. 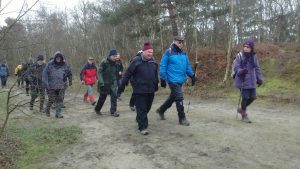 28 Ramblers took part, fortunately avoiding the rain that fell later in the day. Nevertheless, this left them ready for the warmth of the Village Hall, and the hot drinks laid on by the Group. More members then joined us for the AGM proper which considered all the usual business. Members received reports from all of the Area Officers, as well as from all of our Groups. Elections to Area Council also took place, with all current members re‑elected, plus a new Committee member. At the same time, Brian Ansell left the Committee, with thanks for his long standing work in organising distribution of our Area News. Delegates to General Council were agreed – Julian White and Peter James, with Ian Mitchell attending as a visitor. 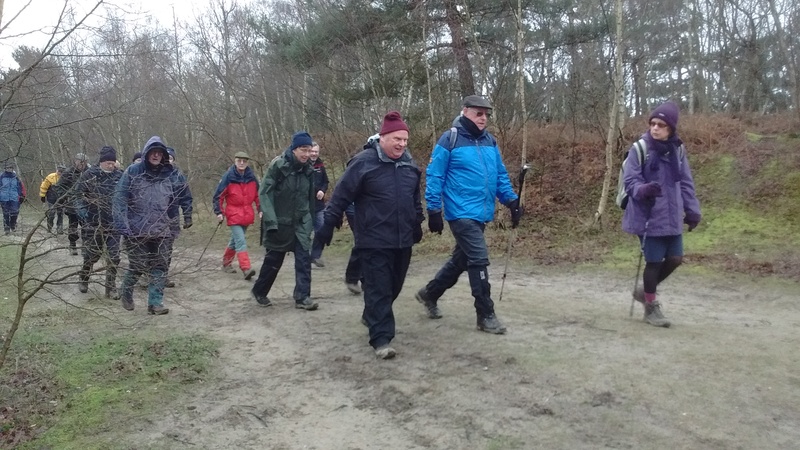 The sole further business was the approval of a revised constitution for the Area, following which, Richard May, both our Chair and a national Trustee, informed those present about The Ramblers’ work over the last year, and its plans for the future. 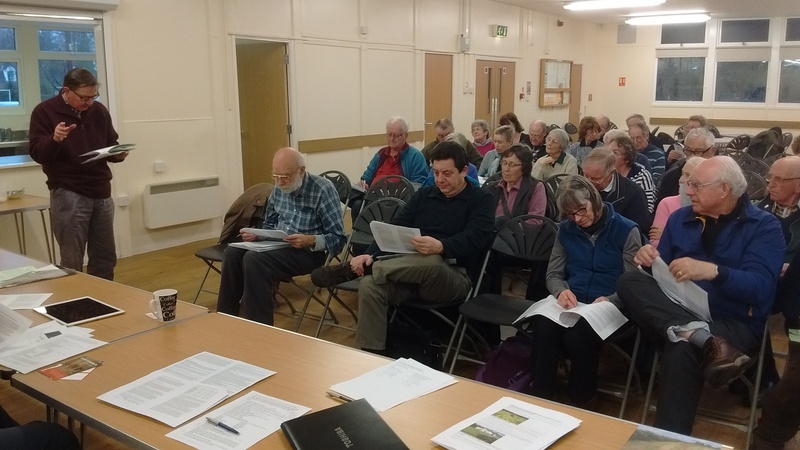 To round off the day (after drinks, cakes and biscuits), Philip West gave a talk on Crabs, Cliffs and Coasters – a tour along the coast from Wells next the Sea to Cromer, lavishly illustrated with historical photographs, and accompanied by information and anecdotes. A worthy end to an enjoyable and productive day.